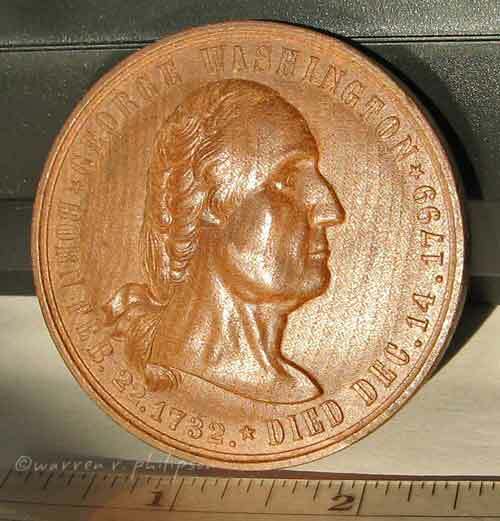 After last Friday’s blog post, Dental Check-Up Time, I thought it would be appropriate to note that, although George Washington didn’t have wooden dentures, there is a George Washington wooden medal. It was released in 1876 as part of a set of six wooden medals, for the Independence Centennial International Exposition held in Philadelphia. If you ever have a hankering to sell this, I would love to complete my collection of Centennial wood tokens with this gem.